The departing MPs have the chance to go big and secure a mandate for their new group. If they don't, voters may judge them more harshly. “I didn’t win my seat on [Corbyn’s] coat tails – I won my seat in spite of him,” the latest Labour splitter Joan Ryan told The Times as she joined the Independent Group. Most of the now-11 MPs who left Labour and the Tories this week to join the Independent Group have so far resisted calls to trigger by-elections. It’s an understandable impulse. Elections are bitter, brutal and tough. But there is a clear democratic case for going back to their voters. 1. A Hansard Society study in 2015 found that 75% of people can’t name their MP. The survey showed that just 22% of people can name their local MP – a figure that was actually down on the 2011 figure of 28%. For all the talk of ‘personal brands’ (and Chuka Umunna does indeed have a significant majority in Streatham), the awkward reality is that most MPs are elected on the basis of their party rosette. As Momentum have been quick to point out, polls showed that just 6% of Labour voters backed the party in 2017 because of the candidate. YouGov found that 28% of voters said they backed the party because of its manifesto, 15% because they were anti-Tory, and 13% because of Mr Corbyn. The new Independent Group already have their own mini-manifesto and have been clear about their opposition to key Labour policies. While short on specifics, the group’s statement is decidedly more ‘pro-business’ than Labour’s 2017 offering – with the MPs committing to a ‘mixed market economy’ rather than Labour’s socialist offering. The ‘mixed market’ messaging of the Independent Group deliberately stands in contrast to this. Why not put the new group’s statement to the public? For the Labour exiters, the party’s 2017 manifesto said: “Labour accepts the referendum result and a Labour government will put the national interest first,” most of the eight Labour MPs in contrast long called for a ‘people’s vote’ on the Brexit deal, with the option of staying in the EU. A ‘Leave Watch’ email from Chuka Umunna in 2016 said Leavers had ‘betrayed the wishes of the British people’. If most people vote on the basis of party colour rather than candidate, ditching that party surely warrants going back to voters? At present, the Independent Group looks rather elite-driven. 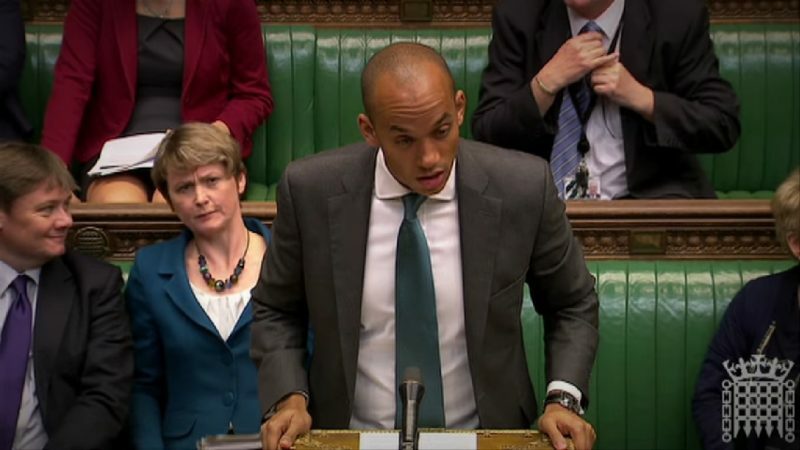 Earlier this week Umunna criticised “the usual way things are often done in Westminster…you know, you have a podium, someone goes up and tells you how it is going to be.” As my LabourList colleague Sienna Rodgers noted, ‘he offered this critique after addressing journalists in Westminster from a podium’. By-election victories would be the clearest way of challenging that narrative. We have heard all sorts of wild figures thrown around about potential support for the new grouping. There’s precedent for voters demanding fresh elections if the ‘facts change’. During the recent attempts to topple the PM, more than half of voters in a BMG poll for The Independent said the Tories couldn’t switch leaders without returning to the country. There’s an opportunity for the new group. To use the energy they’ve gathered, to go big, to show the courage of their convictions. It’s tricky timing – but then they picked a tricky time to leave.